Posted 2019-02-08 by OLS3 & filed under B2D Linux, B2D 桌面版 Comments: 0. 改用 gcin 中文輸入法 +更新/安全/套件 +Emacs25 +grsync +gadmin-rsync ..
Posted 2018-03-04 by OLS3 & filed under B2D Linux, B2D 桌面版 Comments: 3. 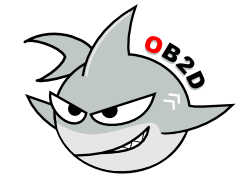 B2D 2018 桌面版做為工作／程式設計／娛樂之用，除了 openssh server 之外，沒有其他伺服器 ..
Posted 2018-03-03 by OLS3 & filed under B2D Linux, B2D 桌面版 Comments: 2. Posted 2018-02-26 by OLS3 & filed under B2D Linux, B2D 桌面版 Comments: 0. 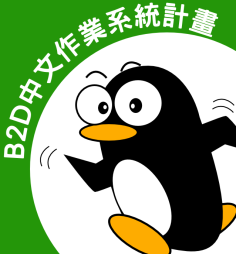 己在 B2D Desktop 2018 v1.02fw 中實現。。。 瀏覽�..
Posted 2018-02-25 by OLS3 & filed under B2D Linux, B2D 桌面版 Comments: 0. Posted 2018-02-15 by OLS3 & filed under B2D Linux, B2D 桌面版 Comments: 0. Posted 2017-08-06 by OLS3 & filed under B2D Linux, B2D 安全工具, B2D 桌面版 Comments: 1. B2D Linux 桌面版佈署安全工具是必然的，目前置入的工具程式數量大約是 Kali Linux 的六七成。 ..